Tiny is the theme for the WordPress Weekly Photo Challenge. 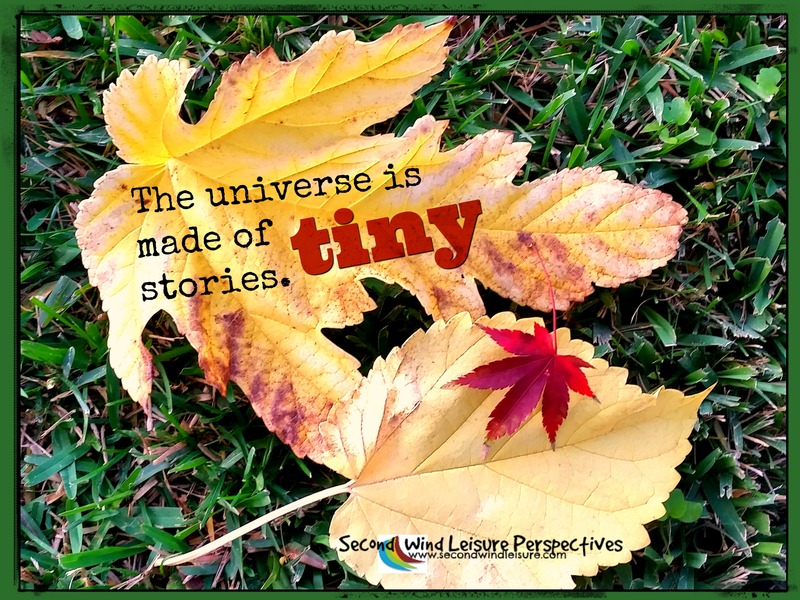 The universe is made of tiny stories. I suppose “tiny” can be a unique perspective, since the universe is perhaps unending. But an empty universe would indeed be a lonely place if it were not for all of our “tiny” stories. The Seasonal Sensations “Autumn Leaves” link up is still going strong, so stop by with your Autumn posts and fill up the inlinkz universe with your “not so tiny” autumn photos and stories! Looking forward to seeing your links! Introducing Second Wind Leisure Perspectives! !